With ever increasing populations throughout the whole of the western world, it is no great surprise that there is an ever increasing reliance on health care services. Accordingly, it is one area of work where a marked rise in employment opportunities is being seen. A health unit brings many facets of health care work together to provide a one-stop shop for patients. This takes a lot of organization, which is why more and more people are studying health unit coordination. Health unit coordinator certification provides the skills and knowledge to get you started in a career in health care assisting. This page gives you more information about what is involved, where you can study it online, and the job and salary prospects after completion. 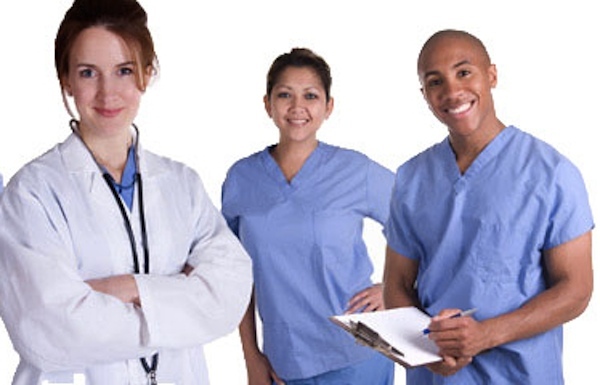 What is studied in health unit coordinator certification programs? Because of the front line work involved, many skills are needed. Good verbal and written communication skills are of course necessary. Further than this though, having an aptitude for numerous electronic record management systems will also be important. Such things, and more, are covered in the health unit coordinator certification programs. A six month to one year course, the health unit coordinator certification programs are run in many states and can be achieved online. However, it is important to understand that training takes place both within a classroom, (for offline study), and within a clinical setting for both offline and online courses. Through the health unit coordinator course, basic, intermediate and advanced clerical skills will be taught. These skills will also be supplemented by medical clerical training of course. Much of this will centre on the vast amount of medical terminology which, in itself, takes a lot of understanding and how hospitals, health care centers and the like are organized. Possibly the most important part of the health unit coordinator certificate programs is the training regards ethical and legal responsibilities. All employees working in the sector need this training, and need to understand the responsibility of the role they are in. As such, it take a certain person to really excel in the role. Prior to studying for health unit coordinator certification, it is necessary to be in possession of a GED or High School diploma. This ensures that basic aptitudes have been achieved. Further, many programs may only be recognized in certain states or geographic areas. Nationally recognized certification through the National Health Unit Coordinator Certification Examination (NHUCCE) is available. Successful completion of this allows the use of Certified Health Unit Coordinator (CHUC) against a graduate’s name. What are the salary and job prospects when pursuing a career in health unit coordination? The trend for an increasing health care service is likely to be ever present. Behind this of course is the growing population. Though there are areas where general health is being improved, there are other areas where it is declining. With so many people going through the systems therefore, management of them will be key. Controlling this therefore will be each unit’s coordinators job. Responsible for the management of everything that a health center deals with, they are responsible for ensuring a smooth process. Further than this though, they are also charged with the responsibility for handling patient records accurately, scheduling tests and examinations, handling staffing and liaising with medical staff. Able to work in many settings, including hospitals, nursing homes and private clinics, students with health unit coordinator certification are also in high demand with insurance companies too. As such, health unit coordinator jobs are on the increase and remuneration is good, with an average health unit coordinator salary of $58,000 per annum, and a median grade of $42,000. Higher earnings are achievable of course, for those willing to continue their studies and knowledge base building.